When it comes to writing, sometimes you just need a little motivation to get you started. Since this is a problem I face ninety nine percent of the time, I have put together a few different motivation options for all of you seeking a little inspiration. 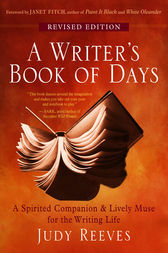 A Writer’s Book of Days by Judy Reeves – I have barley gotten into this book, but I am already learning so much from it. It has easily accessible information, unlike some where you have to read it cover to cover to get the information from it. This is definitely getting me motivated to write and I am really enjoying learning some new tips and tricks as always! Write – This little writing book is filled with tips from a variety of authors like Neil Gaiman, Richard Ford, and Margaret Atwood. I flew through this short handbook and took away lots of information. A must for a quick read! Art of Character by David Corbett – I wrote down so many notes from this book, so I recommend having a notebook handy. I know creating flushed out characters is not a strong point of mine yet, so I feel that this book really assisted in my understanding on how to do so and I really recommend it! 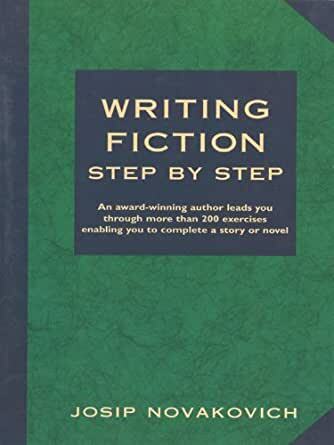 Writing Fiction Step by Step by Jossip Novakovich – Again, another writing book where I recommend that you have a notebook next to you. So much information that is valuable and useful, and is information that I use whenever I write now. Harry Potter and the Philosopher’s Stone by JK Rowling – This isn’t a craft book, but something about JK Rowling’s complex and fantastic world just makes me get the craving to write. It has planted so many ideas in my head and is just the source of great young literature! That is all for this Writer’s Motivation Pack and I hope you found some of it useful. Don’t forget to check out my last blog post: Reading/Writing Update!